Peaceful Country Living! 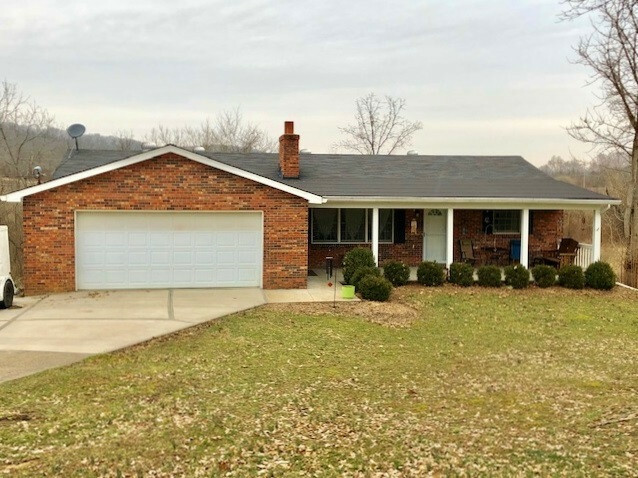 Cozy Brick Ranch Sitting on 1.22 +/- Acre Lot! Relax on the Covered Front Porch or Kick Back on the Large Back Deck! Nicely Updated w Easy Care Wood Laminate Flooring*Great Kitchen w. Stainless Appliances(5 burner gas stove)*Newer Fixtures*Open Living Rm/Kitchen/Dining Area w Woodburning Fireplace*Oversized 2 Car Garage Plus a Storage Building & Chicken Coupe (Complete w the Chickens! )Huge Walkout Basement w Sink/Shower & Commode*Room for a Workshop/Storage*Woodburning Stove Add-on for Warm, Inexpensive Heat! Extra Large Driveway with Plenty of Parking! Move In Ready!